Run Time: Approximately 2 hours and 25 minutes. Description Tags: Strong Role for a Leading Man • Specific Minority Casting • Musical Comedy • Contemporary. Cast Size: Large (14+). Vocal Demands: Moderate. Dance Requirements: Extensive. Good For: High School • College/University • Amateur/Community • Professional Theatre. In 2011, In the Heights closed on Broadway after 1,184 performances. The show was honored as a 2009 Pulitzer Prize finalist for Drama and won the 2008 Tony Awards for Best Musical and Best Original Score. The birthday of Lin-Manuel Miranda, writer and composer of the Tony Award-winning musical IN THE HEIGHTS! Miranda not only wrote the show, but also starred in the original Broadway production as Usnavi. 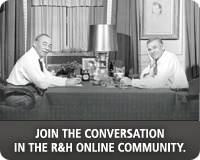 Born in 1980, Miranda is the youngest R&H writer! 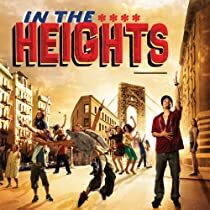 In 2008, IN THE HEIGHTS opened on Broadway at the Richard Rodgers Theatre, where it ran for 1,184 performances. It won the 2008 Tony Awards for Best Musical and Best Original Score, and became a finalist for the 2009 Pulitzer Prize for Drama. An exuberant, animated shrine to the importance of family ties and being faithful to where you come from." It has been lamented in certain circles that they don’t make Broadway musical stars the way they used to. We’ll not see the likes of Ethel Merman again. Or Mary Martin or John Raitt. Or, for that matter, Patti LuPone or Mandy Patinkin. C’mon everybody, let’s give a big, sad sigh. Oh, let’s not. While the manufacture of matinee idols and worship-ready divas, not to mention the sturdy vehicles they rode to fame, may be in decline, the theater has not gone out of the star-making business entirely. If you stroll down to the Richard Rodgers Theater, where the spirited musical “In the Heights” opened on Sunday night, you’ll discover a singular new sensation, Lin-Manuel Miranda, commanding the spotlight as if he were born in the wings. As you watch Mr. Miranda bound jubilantly across the stage, tossing out the rhymed verse currently known as rap like fistfuls of flowers, you might find yourself imagining that this young man is music personified — a sprightly new Harold Hill from the barrio, where this sweet if sentimental musical is set. Mr. Miranda, as the owner of a corner bodega who dispenses good cheer along with café con leche by the gallon, is not just the brightly glowing star of “In the Heights.” He also wrote all the ebullient songs for this panoramic portrait of a New York neighborhood — Washington Heights — filled with Spanish-speaking dreamers of American dreams, nervously eyeing their futures from a city block on the cusp of change. First seen Off Broadway last year, “In the Heights” moves uptown with its considerable assets confidently in place: a tuneful score enlivened by the dancing rhythms of salsa and Latin pop, sounds that are an ear-tickling novelty on Broadway; zesty choreography by Andy Blankenbuehler that seems to put invisible wings on the young cast’s neon-colored sneakers; and a stage amply stocked with appealing actors who season their performances with generous doses of sugar and spice. Its fundamental deficiencies are also along for the ride, unfortunately. Conceived by Mr. Miranda, with a book by Quiara Alegría Hudes, “In the Heights” consists of a series of vignettes that form a vivid but somewhat airbrushed mural of urban life. Directed by Thomas Kail, it is basically a salsa-flavored soap opera, and if there is an equivalent of schmaltz in Spanish, this musical is happily swimming in it. Will Usnavi (Mr. Miranda) and his abuela Claudia (Olga Merediz) — his beloved grandmother in spirit if not in fact — achieve their goal of returning to the Dominican Republic? Will Nina (Mandy Gonzalez), the plucky neighborhood girl who made good, find the courage, or the money, to return to Stanford University after a shaky freshman year? Will her adoring parents, Kevin (Carlos Gomez) and Camila (Priscilla Lopez), take the momentous step of selling their gypsy cab company so Nina can realize her goal? Can they come to accept Benny (Christopher Jackson), the upstanding but un-Latino young man who works for them, as their only daughter’s suitor? I almost forgot the biggest nail-biter: Who is in possession of the winning lottery ticket Usnavi discovers he has sold? Although you may lament the efficient but mechanical way these story lines are developed and resolved, staying tuned will be a pleasure if you have any affection for the bubbly or sultry sounds of Latin music. Under the enthusiastic guidance of the music director, Alex Lacamoire, the orchestra — band is really a better word — plays with a sense of excitement almost never heard emanating from a Broadway pit. (The standard amplification is less flattening to this music than to traditional scores.) Bright, piping fanfares from the trumpets punctuate the dance numbers; the merry tinkle of a steel drum laughs along with the jokes. The players below seem to be having as much fun as the performers onstage. In addition to the aforementioned characters, there is Usnavi’s cocky 16-year-old cousin Sonny (the impishly funny Robin De Jesús), eager to give Usnavi tips on how to woo the girl he’s got a secret crush on. She is the ambitious Vanessa (Karen Olivo, all legs and voice), whose ardent wish is to move out of the barrio; unfortunately she’s got a mother draining her resources, and a serious credit problem. The vivacious Daniela (Andréa Burns, choicely tart), who owns the beauty salon where Vanessa works, is on the move whether she likes it or not. Priced out of the ’hood, she’s packing up her straighteners and moving to the Bronx. As a performer, Mr. Miranda is anything but generic. Slight of build, with a wispy goatee, he does not fit any leading-man molds. But he is so naturally and vibrantly alive onstage that he brings an animating touch of urgency to even the more clichéd or predictable turns of the plot. He may be no real balladeer — he doesn’t sing much at all — but Usnavi’s long streams of rap riding a pulsating rhythm are the music that makes the whole neighborhood dance. You could easily be cynical about the show’s heartfelt belief in the possibility of a little love and a big lottery win making all things right. But then Mr. Miranda bounces back onstage, throwing down rhymes and throwing his arms open wide as if to embrace the whole mezzanine. He seems to embody music’s ability to make the trite seem true again. And after all, this scrappy little musical about chasing your dreams and finding your true home is Mr. Miranda’s own dream come true. He couldn’t look more at home. Conceived by Lin-Manuel Miranda; book by Quiara Alegría Hudes; music and lyrics by Mr. Miranda; directed by Thomas Kail; choreographed by Andy Blankenbuehler; music director, Alex Lacamoire; sets by Anna Louizos; costumes by Paul Tazewell; lighting by Howell Binkley; sound by Acme Sound Partners; company manager, Brig Berney; production stage manager, J. Philip Bassett . Presented by Kevin McCollum, Jeffrey Seller, Jill Furman, Sander Jacobs, Goodman/Grossman, Peter Fine and Everett/Skipper. At the Richard Rodgers Theater, 226 West 46th Street; 212-307-4100.. Running time: 2 hours 20 minutes. 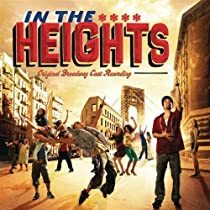 WITH: Andréa Burns (Daniela), Janet Dacal (Carla), Robin de Jesús (Sonny), Carlos Gomez (Kevin), Mandy Gonzalez (Nina), Christopher Jackson (Benny), Priscilla Lopez (Camila), Olga Merediz (Abuela Claudia), Lin-Manuel Miranda (Usnavi), Karen Olivo (Vanessa) and Seth Stewart (Graffiti Pete). Over the past decade it's taken more and more for a musical to really make an impact on me. I like to leave the theater changed, moved, or having learned something about myself or the human condition—especially if I'm paying $150. I enjoy watching wonderful actors and great choreography, but I've started to have a strong aversion to shows with songs that don't forward the plot. A show that does not fall into that category is "In the Heights," the best show I've seen since "Ragtime." I had just finished my first year as a company member at the Stratford Shakespeare Festival; between seasons I stopped in NYC to see this show I'd been hearing so much about. It was closing on Broadway, and my friend Chris Jackson was rejoining the cast along with the creator and star, Lin-Manuel Miranda. I expected to be entertained as I had been by every recent show I'd seen on Broadway. However, I had a very rare experience—I was inspired. Inspiration! Please give me inspiration every time I see a Broadway show. It happened when I saw my first Broadway show ("The Who's Tommy"), "Ragtime," and "Les Miz" on tour in Philadelphia at the Forrest Theatre. That feeling has been evading me too often recently. But, sitting in the Richard Rodgers Theater that day in 2011, I was blown away. I knew nothing about Miranda or the masterpiece he had created. I'd been out of the country during most of the time it was being developed. I love knowing how a great show comes to be, and the story of "In the Heights" is as good as it gets. Miranda wrote the first version during his sophomore year in college. From 1999 to 2008, the show was revised and presented in different forms at the National Music Theater Conference and Off-Broadway at 37 Arts Theater. What I saw, with music and lyrics by Miranda and book by Quiara Alegría Hudes, was a piece of art perfected over nine years, and all the hard worked showed. It was so effective and affective. The opening number did what it was supposed to do. It drew me to the edge of my seat and didn't let me go. It said, "Here is the world we're in, and here are the people you are going to love." That first sequence was the definition of compelling, and every song afterwards had a reason. Each element had direction and an objective. There was no song or dance combination simply there "for show." Each clever lyric told you where you were; each lighting cue told you, "This is the story we're telling" and each set piece said, "Let us transport you." The dancing was infectious. When I first moved to NYC, I lived right next to the A train stop at 181st Street, which is featured in the set. Living west of Broadway, I was privy to the wealth and breadth of Latin culture only when walking daily to the neighborhood Big Gym. I felt so alien to the vitality, musicality, and richness of that community. I so wanted to know what it was all about, and I love that "In the Heights" gave me a slice of that life. I know the life of Usnavi—Miranda's character—is fictional, but unique as it is, I feel that in our melting pot society, we can all relate to it. That's what makes this work so important and wonderful. I feel blessed to currently be working with the lighting and costume designers from that show (Howell Binkley and Paul Tazewell) in the Stratford production of "Jesus Christ Superstar," now in previews at the Neil Simon Theatre. Josh Young has spent two seasons at the Stratford Shakespeare Festival. He originated the role of Judas in the Stratford production of "Jesus Christ Superstar," which later played the La Jolla Playhouse and is in previews on Broadway. Other Stratford credits include "The Grapes of Wrath" and "Evita." He has toured nationally in "Les Misérables" and internationally in "West Side Story." His new album, "Still Dreaming of Paradise," is available at iTunes. 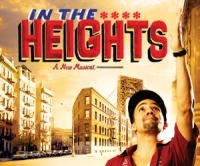 IN THE HEIGHTS takes place in Washington Heights, New York City during 3 days in July. “Lights up on Washington Heights!” Lin-Manuel Miranda reflects on 10th anniversary of In the Heights at BroadwayCon! 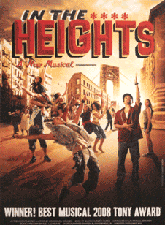 *Promotional video rights can only be granted once a performance license for In the Heights has been secured. Please contact customer service if you have any questions. If you have not yet applied for In the Heights, you can do so here. 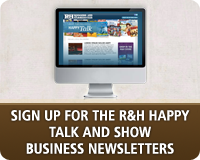 LOG IN to learn more. 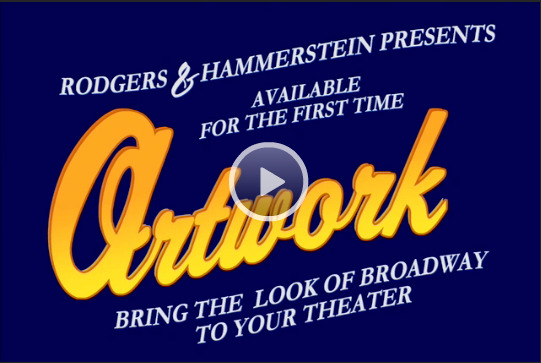 *You must be logged in and licensed to present In the Heights in order to license Archival rights. Please contact customer service with any questions. 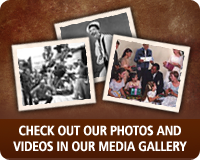 *You must be logged in and licensed to present In the Heights in order to license Distribution rights. Please contact customer service with any questions.